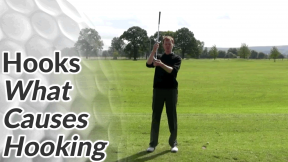 This series of video tips and drills will help you to fix your golf hook so that you can hit straight shots or soft draws with confidence and consistency. 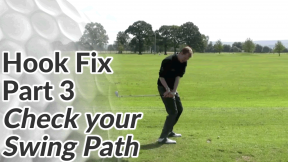 Now, a lot of golfers will skip right past this step because alignment is simple and it’s obvious. 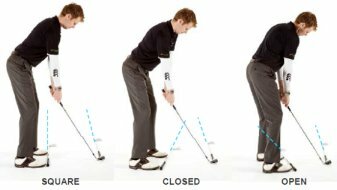 But I see poor alignment issues in the majority of club-level golfers – especially those that slice and hook a lot of shots. 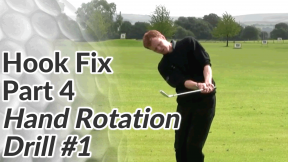 Good alignment is the basis on which consistently straight golf shots are built. 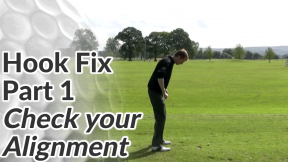 Don’t make the mistake of jumping into the anti-hook drills in this series in the hope of papering over your alignment and set up faults… you won’t get the long-term results you’re after. The thing to remember about alignment is that it’s easy to fall into bad habits if you fail to check it on a regular basis. Tour players monitor their alignment far more than amateurs. It’s not too basic for them and it shouldn’t be for you. Each time you practice, check that the alignment of your feet, knees, hips and shoulders is square to your target. Most golfers I see only check the alignment of their feet, so be sure to notice your hips and shoulders as well – ask a friend to run a club across your hips and shoulder at set up and then step away to check. 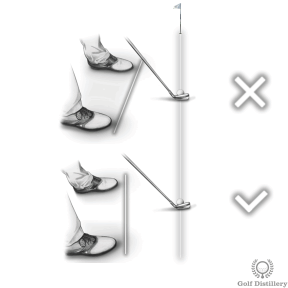 As well as your alignment, you should become diligent about checking other elements of your set up – particularly your grip. 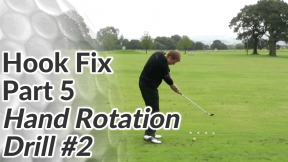 Once you’re happy and comfortable with your set up, move on to some specific drills that will further help to fix your golf hook.